On Jan. 17, 1961, President Dwight Eisenhower in his farewell speech upon leaving office gave a dire warning about what he described as a threat to the economic health of our country. 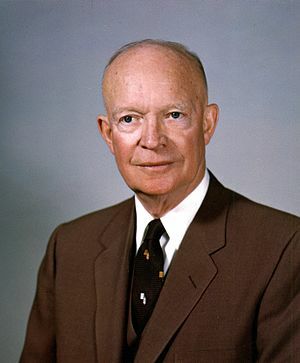 Eisenhower called the threat the military-industrial complex, a formidable union of defense contractors, political forces and the armed forces. My wife, Grace, had an experience last week that made me relate Eisenhower’s military-industrial complex to what I would call the medical-industrial complex. And our take away from Grace’s experience is that a key goal of everyone should be to stay out of the medical-industrial complex. Grace went into the doctor’s office for a minor procedure and two days later as a result of the procedure where something went wrong ended up in the hospital with a case of peritonitis. Peritonitis is an infection and inflammation of the tissue that lines the inner wall of the abdomen and can be quite a serious and threatening condition. After five days and four different medical specialties later, Grace was discharged from the hospital. Now almost a week after the procedure Grace is still really weak and uncomfortable. The good news about the medical-industrial complex is that in the past peritonitis was life threatening and today, with four docs attending Grace and heavy doses of medicine, Grace is hopefully on the mend. Next comes the follow on pain of dealing with multiple bills from multiple sources that will probably total well in excess of $10,000. Again, do all you can to take charge of your health and do all you can to stay out of the medical-industrial complex. And while you are looking after yourself and your family, why not set an example for others so that they take charge of their physical and financial health as well? Leaders are Readers – con’t.